The difficult-to-reach location and the fact the waters are part of a National Park have been key factors in the preservation of the vessel. 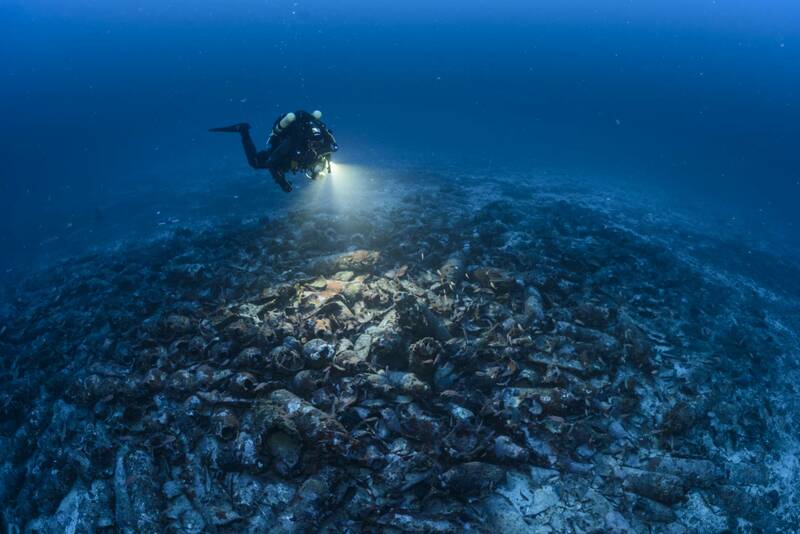 The ship was found in waters 70 meters (230 feet) deep in April 2016 after fishermen reporting pulling up some amphora fragments in their nets at that location. IBEAM scouted the site with a robot. 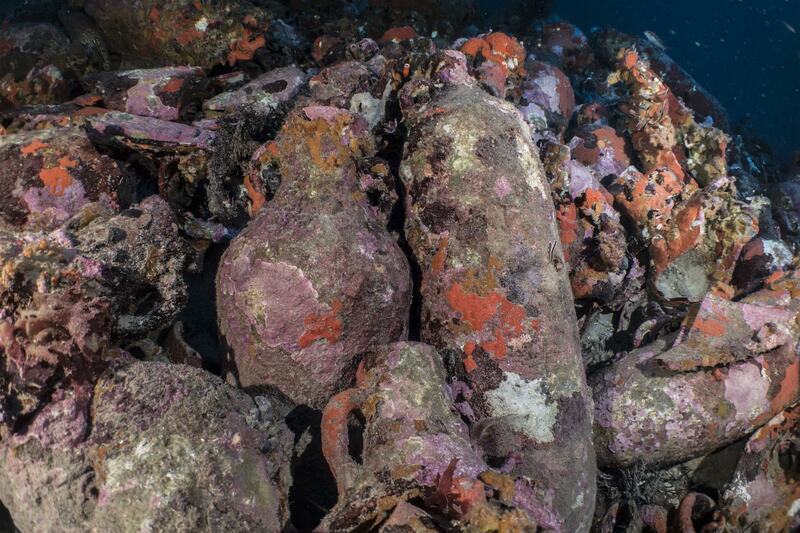 The robot’s images revealed a vast mound of amphorae covering 50 feet of the seabed. 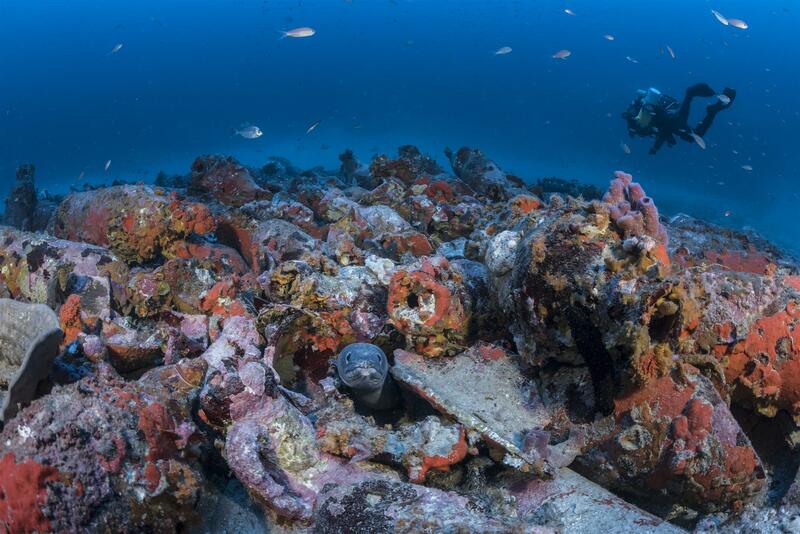 In October, human divers dove the site, exploring and photographing in greater detail and at the level of the wreck itself. They took more than 2,000 pictures of the site from all angles which allowed experts to determine its size and orientation. The ship was 20 meters (65 feet) long and carried a cargo of between 1,000 and 2,000 amphorae. Most of them were made in North Africa and are about one meter (3.3 feet) high. The rest were smaller and made in the south of the Iberian peninsula. Both types of jars carried garum, the sauce made from fermented fish intestines that the Romans put on everything. Archaeologists believe the ship was transporting garum along a trade route between North Africa and Spain with stops in Gaul and Rome. 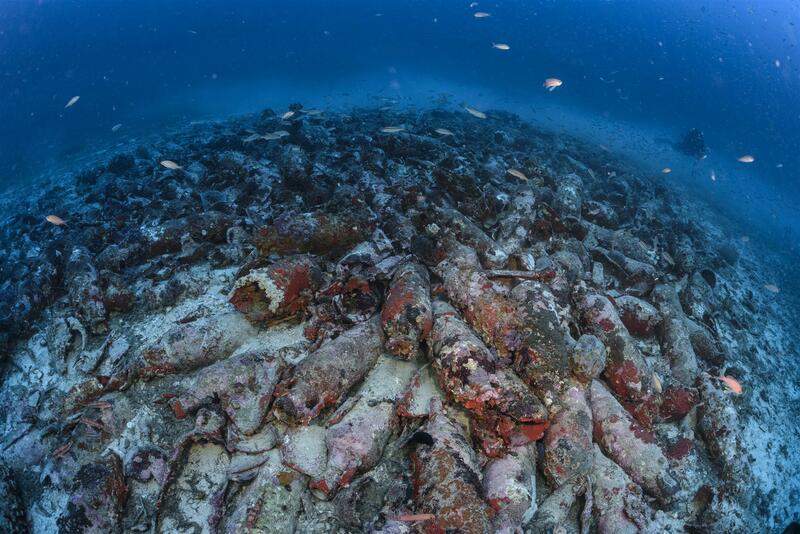 When the ship sank in antiquity, it capsized on the sea floor. The amphora field covered the ship’s hull, preserving it as an oval mound about 15 meters (50 feet) long and 10 meters (33 feet) wide. With the cargo still in the position it landed in after the wreck, archaeologists are optimistic that there may be surviving timbers from the boat preserved underneath the amphorae. The discovery was kept under wraps until last Friday to keep looters and sightseers from interfering with site. Now that the news is out, the authorities will police and secure the wreck to ensure it is not looted or inadvertently damaged.